← So—which season is this? 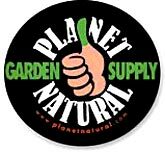 A couple of weeks ago I stopped by Planet Natural* for some manure, and look what happened. The place is dangerous. (I did get the manure, but it was too heavy to haul onto the lawn for a photo.) The bamboo compost bucket (as seen on ComposterConnection!) was a gift from Eric, bless him, who kept pressing me to buy a bigger basket. Him: It’s for a good cause! Me: I don’t need a bigger basket. Him: The proceeds buy eyeglasses for blind Indians in Arizona! Or something. Me: Blind people don’t need eyeglasses, Eric. Him: You know what I mean. Me: I don’t need a bigger basket! As he went off he may have been muttering something about how I shouldn’t blame him if my conscience bothered me, but I wasn’t sure. The jig was up; I’d been found. Eric completed the introductions, including to the only male; “the girls” didn’t want any guys lording it over them, Eric had explained to me years back, and he honored that. However, an exception has been made for Brian, though only after one of the others vouched for him while holding her hand over a lit candle flame. Later, Eric drew me aside and told me that Shannon, a friend and employee of several years, had died suddenly five days earlier of an aneurysm. She was twenty-six. “We’ve been walking zombies here,” he said. I barely knew Shannon, but that evening I found myself sobbing. Maybe some of it’s displaced grief for others—there’s certainly a number of candidates—but not all. Shannon and Katrina were the first two whose names I learned, and now Katrina is back and Shannon is dead. Three days after her memorial service, I learned of another death—again, it was not a close friend, but someone I’d worked with both at the University and on parks committees. My mother—step-mother, if you want to get picky about it—said recently that life was great until her fifties, when everyone started to die. This spring I turned fifty-five, and suddenly I know what she means. There were the deaths of my husband’s step-mother and step-brother in April; then these two. Through it all, I’ve been planning the gathering for my sister, who died last fall. So if you’re wondering why I disappeared from the blog and the blogosphere in general, now you know. I feel like a basket case. Eric was right: I should have bought a bigger basket. This one is nowhere near big enough. 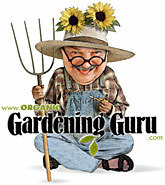 * Planet Natural is Eric’s online organic gardening store, and it’s Eric who commissions my gardening articles.